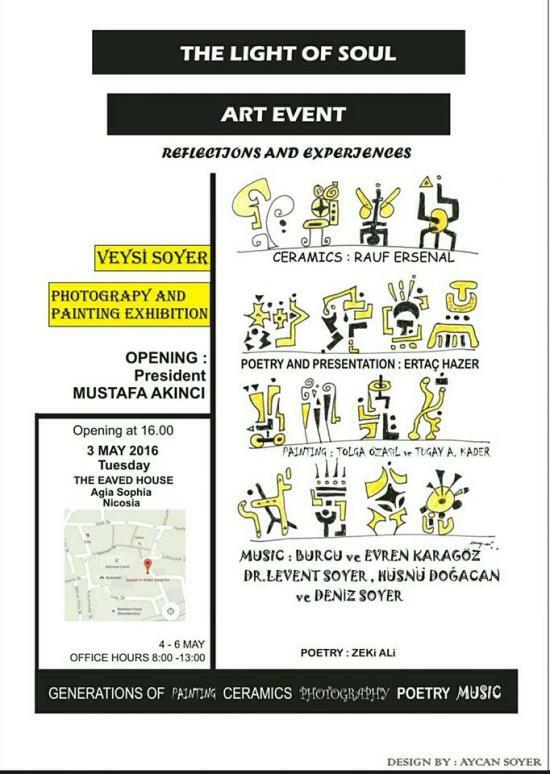 An Art Event of a Special Kind organised by Veysi Soyer at 16:00 hrs at the Eaved House. HE The President Mustafa Akinci is expected to open the event. Generations of Paintings, Ceramics, Photography, Poetry and Music. 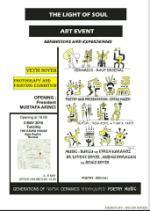 See more details on the poster.